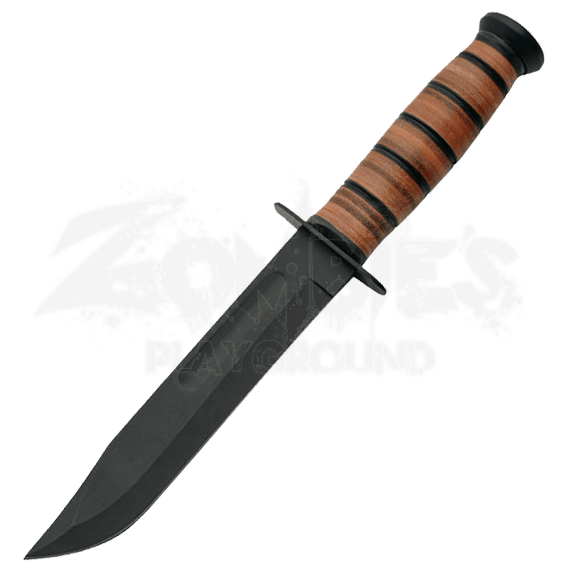 The first Ka-Bar knife was issued in World War II, and since then, it has been the knife of choice for the U.S. Armed Forces for a darn good reason. 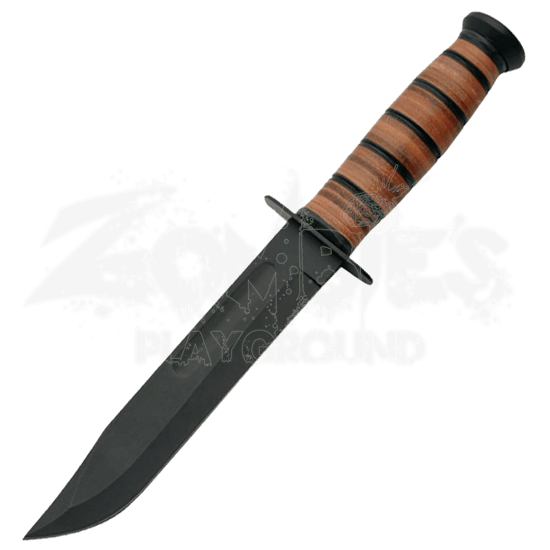 This WWII Marine Combat Knife imitates the look of the classic Ka-Bar back when it was first issued. This rugged and ready-to-use knife has a blackened stainless steel blade with a subtle clipped point design. This blade shape brings plenty of cutting edge to the table and also ensures that the knife has a fine point for carving, piercing, and more. The knife features a straight guard and a stacked, wrapped leather handle for a solid, secure hold. Included with the knife is a brown leather sheath, which is perfect for keeping the knife safe and secure when it is not in use. It was good enough in World War II and it is certainly good enough now, as this WWII Marine Combat Knife will readily prove itself the next time you draw it from its sheath and put it to the test.